It’s bonkers, it’s fun, it’s Watford again. Well, it may well be slightly frustrating, mildly amusing, at times entertaining and often quite annoying, but at least it is fun again. After a year or so of dreadful football, discontent among supporters, financial worries and boardroom horror stories, it’s starting to feel like Watford again. On the pitch, I think Brendan Rodgers has done really well. He inherited a team that were low on confidence, a squad of ineffectual, disinterested players who were only going one way. Down. He started poorly, seemingly unaware that the band of journeymen he was now in charge of were not the Chelsea superstars and starlets he had left behind at Stamford Bridge. He was asking too much too early and it showed – the home defeat to Sheffield United being a particularly ugly example. However, the tide gradually began to turn and with the help some fantastic additions to the squad (Williamson, Cowie, Cork – and on last night’s evidence, perhaps Cauna) we began to not only look like a competent side, but one that was playing vaguely attractive football too. 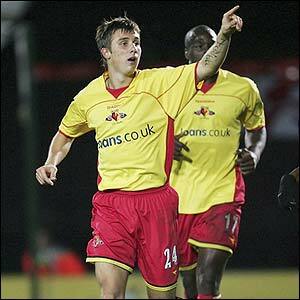 On top of the new players, Rodgers got some of our under-performing existing players to raise their game too – most notably Jobi McAnuff (although the simple act of playing him on the right was always going to result in better performances) and Tamas Priskin, who until recently looked about as likely to score as Scott Loach, found the goal scoring touch that we all hoped was lurking there somewhere. In a relatively short space of time, Rodgers had steadied the ship at the back, and had us scoring freely too. This saw a run of excellent form, which undoubtedly will have kept us up. Important, gutsy wins against the likes of Burnley, Swansea, Blackpool, Charlton, Forest and Doncaster came at just the right time – as with fellow strugglers picking up points on a regular basis too, losing just one or two of those fixtures would have seen us back in the mire. There has been refreshing honesty from our new man too. Following wholesale changes and a subsequent defeat away at Plymouth, Brendan Rodgers admitted he had made a mistake. It doesn’t help the final result, but form a fans perspective it was good to hear, especially after some of the smoke and mirrors of previous regimes. It hasn’t all been plain sailing of course. We have conceded far too many late goals, including two 97th (Yes, that’s ninety-seventh) minute penalties in consecutive games, but isn’t that just so Watford? That’s the sort of thing we do, and it’s the sort of thing that can and should make football so unpredictable, so mind-boggling, so frustrating, so fun! Off the pitch it has been all change too. 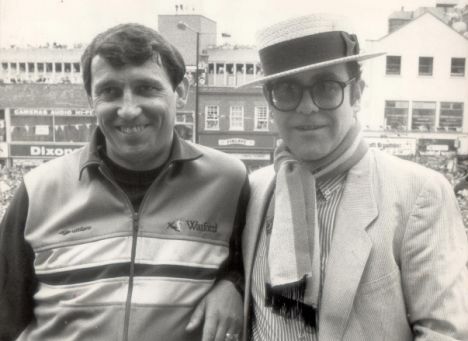 The much discussed Simpson and Ashton have departed, giving way to a new Chairman, a new Board and paving the way for the return of both Elton John and Graham Taylor. I don’t know about you, but I just feel happier and safer with these guys back on board. They, like us, have Watford in their hearts, and whilst they are involved I have faith that any decisions made will be made in the long term interests of the club. 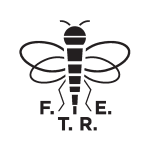 I trust them. Of course, the follies of the previous regime have left us in what remains a precarious financial state. Whilst we have managed to hang on to some of our more prized playing assets (Tommy Smith, McAnuff, Priskin, DeMerit etc) the steady trickle of departures over the course of the season illustrates pretty clearly that financially, all is far from well, and the summer will undoubtedly see some high profile departures. But you see, that’s alright. If players have to be sold, they have to be sold, I, like you, would rather we kept our best players, but at least I now have faith that Watford is in safe, caring hands. We are all pulling in the same direction again. There is purpose, there is unity, there is enjoyment. Both on the pitch and off it, Watford make mistakes, but I guess that is what makes Watford Watford. Calamtous defending and last minute goals. The creaking old East Stand. Graham and Elton. Lloyd Doyley. Watford are putting a smile on my face again. Long may it continue.